From beginners to veterans – a checklist can make the difference between a camping trip that is as fun as you hoped, or one you suffer through. You should have your camping checklist in hand as you load your camping gear – and turn those checks you made when you gathered your gear into “Xs” that will let you know you actually loaded it – instead of remembering to gather it, and then leaving it on the garage floor when you actually packed to leave. From the “Master” camping gear checklist for the trip organizer, to a personal gear list the kids can do – these free printer-friendly supplies, and equipment printouts will help ensure nothing gets forgotten. It can also help you avoid taking gear you don’t need. Why carry a heavy Dutch oven when you will only be using a frying pan? As you scan the list below, don’t get overwhelmed – remember, you will not need everything on it. It is intended to include everything you might need, not everything you have to take. Packing for an overnight trip requires more gear than a day hike. (Print out a gear list to make sure you pack what you need.) When you’re first starting out, you may want to rent or borrow gear before making such a significant gear investment. Keep in mind, though, that items like backpacks need to fit you well for maximum comfort, meaning borrowed or rented gear might not be as comfortable as gear that’s been fitted to you. More gear means more weight – a pack loaded with the necessary gear, food and water generally weighs between 30 and 40 pounds for a 2-4 day trip; longer trips require heavier pack loads, but that doesn’t mean your pack has to weigh you down. The key is packing what’s necessary without creating an impossibly heavy pack. Ultralight gear can help, if your budget allows, but sticking to the basics will allow you to backpack comfortably without spending thousands of dollars on new gear. Remember every pound counts! If there’s one rule for clothes in the backcountry, it’s layer, layer, layer. That way you can add or peel off clothing if you feel too cold or too hot. Make sure to avoid cotton: it’s a poor insulator when wet, making you feel colder and increasing your risk of hypothermia. Look for synthetic or wool materials instead. First (base) wicking layer: Tops and bottoms made of wicking material like Polypropylene, Capilene, Thermax, SmartWool or other fabrics help carry moisture away from your body and insulate even if wet. Second (middle) insulating layer: Warm insulator, like a fleece, down jacket or wool sweater (or a combination of these). Third, weather-proof layer: Windproof and waterproof pants and jackets made of water-shedding, preferable “breathable” material, like GoreTex is essential. Hats: Both a sun hat and a warm knit wool or fleece hat for cold nights. Gloves: lightweight in summer, insulated in colder months. Non-cotton t-shirt and long-sleeve shirts; lightweight pants and shorts, or convertible hiking pants. Socks and sock liners: Use hiking-specific socks for better cushioning and breathability; thin liner socks help prevent blisters (critical on long hikes!). Boots: Take a look at the article Finding Boots for your Hiking Feet for some tips on what to look for in fit, style, material, etc. And remember, fit is critical, so try on lots of styles! 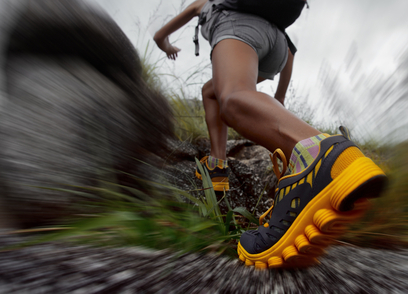 If it’s not comfortable in the store, it certainly won’t be on the trail. You’ll need a backpack that will provide enough space for all your gear without causing you discomfort. In terms of size, you should choose a bag with a volume between 40 and 70 liters (2400 to 4200 cubic inches) for most 2-4 day trips, and a pack of at least 70 liters (4200 cubic inches) for trips 5-days or longer. For comfort, style is less important than fit. There are two general styles, internal and external frame, and either one can make a perfect backpacking pack. The key is to make sure that 80 percent of the pack weight is carried by your hips. This is ensured by proper fit, particularly with internal frame packs. Get good advice from an experienced outdoor gear retailer and try on many varieties to find one that feels best. To find a tent, consider when you’ll be camping, where you’ll generally go and how many people will use the tent. For most backpacking, three-season tents work great. They’re a snap to set up, are great in most weather, and their parts can be split up between your backpacking buddies to reduce weight. Take a look at this page on How to Buy a Tent for tips on purchasing your first tent. For extra protection, you can opt to bring a ground tarp. Just make sure the it’s two inches shorter than the edges of the tent, since larger ground covers can funnel water to you, leaving both you and your tent soaked. Choosing the right sleeping bag and pad can mean the difference between a good night’s sleep and a long, uncomfortable night followed by a tired, miserable day. Sleeping bags are generally rated with a degree, which indicates the lowest temperature at which the sleeping bag will keep you comfortable (e.g. a “20 degree” bag should keep you warm in temps above 20 degrees). When choosing a bag, keep in mind that even in summer, night temperatures can dip below freeing in the mountains. This means it’s a good idea to choose a “three-season” bag that’s rated between 0 and 15 degrees – it’ll keep you warm even when cold and, if it’s too warm, you can always unzip it slightly to let in cooler air. Sleeping pads insulate you from the cold and from any rocks or roots on the ground. Many backpackers like Therm-a-Rests or other “self-inflating” pads, but if you’re looking to save weight or money, an inexpensive closed-cell pad can often fit the bill nicely. Before heading into the backcountry, make sure that your First Aid kit is well stocked, and check to make sure nothing’s out of date. It’s also a good idea to take a Wilderness First Aid (or better yet First Responder) course so that you’re prepared in case of emergency. Find out more about that here. Repair kits for tent, stove, sleeping pad, etc. It should come as no surprise that water is one of the top Essentials. Backpacking can be hard work, and you’ll need to keep hydrated, especially on hot days. A good rule of thumb is to drink a liter and carry a liter at all times, that way you can be sure to have extra in case of emergency. Of course, you can’t just drink water straight from the stream. Even the purest looking water can contain pathogens like giardia, which can cause serious illness in the backcountry. Luckily, there are a number of ways to treat water to make it safe for drinking. The simplest and most effective method is simply bringing water to a boil. (No need to wait a certain length of time after it starts boiling- the heating process is enough to kill any pathogens). When you’re not at camp, though, you can use chemical water treatments or filters to make water drinkable. Eating is pretty important when you’re burning around 5,000 calories a day, if not more. It’s so important, in fact, that we’ve dedicated an entire section to backcountry cooking, including recipes and meal ideas. One thing to think about when shopping for backcountry foods is weight to calorie ratio. Look for lightweight foods, like dehydrated refried beans or hummus mix, rice, and noodles, that will fill you up and give you energy without loading you down. Avoid cans, bottles or bulky packaging that you’ll have to carry out later. 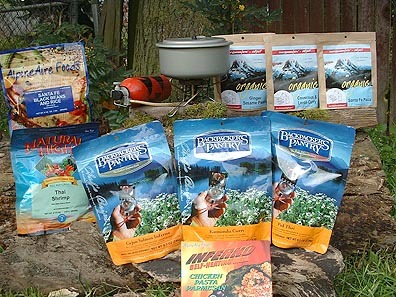 If you have the budget for it, pre-packaged dried meals can be a good choice, though certainly not a necessary one, as this article points out. Prepackaged meals are easy to prepare, weight little and are quick to clean up. They aren’t cheap, however, and quality varies. Breakfast options range from the old standby — instant oatmeal — to more creative ideas, like homemade granola, instant soups, toaster pastries, or even pancakes laden with fresh mountain huckleberries. Hot cocoa or Tang can make waking up on a cold morning that much easier. Lunch is almost always eaten on the trail and usually consists of dense, calorie-rich foods such as bagels, cheese, nuts, salami, trail mix, dried fruit, powdered hummus, jerky, M&Ms, drink mixes (such as powdered Gatorade) and energy bars. Snack throughout the day to keep energy levels higher and to avoid feeling full. Dinner is probably the most flexible of the meals. Once you make camp, you have plenty of time to prepare more involved recipes, if you so choose, or you can keep it simple with pre-packaged mac-and-cheese (just make sure to bring dehydrated milk) or dehydrated refried beans with instant rice. If you have a sweet-tooth, you can even opt for backcountry desserts. Your backcountry kitchen can be as complex or simple as you choose. The most basic kitchen needs little more than a lightweight backpacking stove and fuel, a pot and pot grip, a large metal spoon (for cooking), and bowls, spoons, or even dutch ovens. Stoves generally break into two categories: white gas and butane/propane. White gas stoves have a metal fuel bottle you refill with camping gasoline, and these generally burn hotter than canister stoves. You usually need to prime the stove, which adds time to the cooking process. Canister stoves are simpler to light. Fuel is contained in a sealed cylinder that you toss out when empty. Some downsides include more expensive fuel, and more waste. But canister stoves are extremely lightweight and easy to use. Both options are very lightweight and work quite well for most backpacking trips. What is it about hiking that has us on our feet? 420,880: Feet. Elevation change in the 2,663 miles of the Pacific Crest Trail. 46:11:20: Time, days:hours:minutes. Record set by Jennifer Pharr Davis in 2011 for the fastest through-hike of the Appalachian Trail. 5: Pairs. Shoes used up by Davis on her record-setting trek. That’s a new pair every 9 days. 31 million: Americans. According to the American Recreation Foundation this is the number of Americans who hiked a trail in 2007. 4,600: Miles. Longest hike in the U.S., North Country National Scenic Trail. From Lake Sakakawea, North Dakota to Crown Point, New York. 16,368,000: Feet. Length of Continental Divide Trail. That’s 3,100 miles. 734: Miles. Sum of the length of all hiking trails in Glacier National Park. 10: Essentials. As dictated by The Mountaineers, a climber’s organization, in 1930 for establishing what you need to react positively to an accident or emergency, and to spend an unexpected night outside. In order: Map, Compass, Sunglasses and sunscreen, Extra clothing, Headlamp/flashlight, First-aid supplies, Firestarter, Matches, Knife, Extra food. 1989: Year. A river guide started a little company that makes sandals. Chaco. You know the one. 10-20: Percentage. Suggested backpack weight for children as a percentage of their body weight. For example, a 50 lbs child should carry backpack that weighs 10 lbs — or until they start whining about numb arms. Which ever comes first. Keep the peace. Try bribery with candy, then move on to reducing weight. 31: Satellites. The Global Positioning System (GPS) operates on a constellation of 31 satellites that orbit the earth on 6 orbital planes at an altitude of 12,600 miles in a fashion that puts nearly all points on the planet in line of sight with at least 6 satellites at any given time. 14,505: Elevation. Mount Whitney is the tallest peak in the 48 U.S., and also the tallest “hikeable” peak (vs climbable) by a trail 22 miles round trip. 6,288: Elevation. Tallest hikeable peak in New England, Mt. Washington. 13: Length. Miles of longest slot canyon, Buckskin Gulch in Utah. 800: Approximated average. Number of hikers who would hike Half Dome on a busy holiday or weekend day in Yosemite before the current permit system went into place. The NPS now allows just 400 people on the trail in a day, and a permit is required. 21: Distance. A rim-to-rim hike of the Grand Canyon using South Kaibab and North Kaibab trails is 21 miles long. A hard 21 miles. 517: Calories. Man weighing 190 lbs will burn this in one hour of hiking. 440: Calories. A woman who weighs 163 lbs will burn this in an hour of hiking. 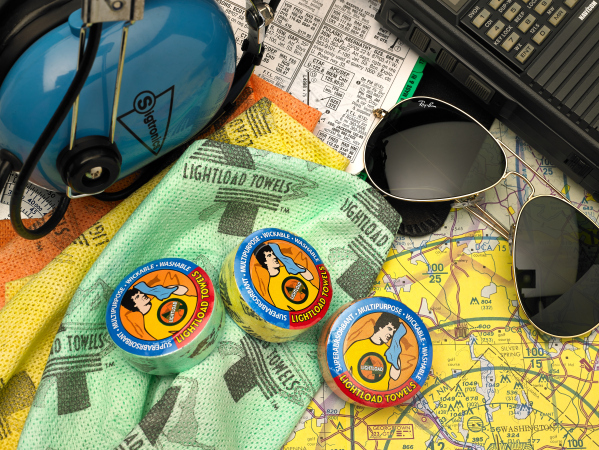 Camping has never been easier with a three pack of lightload Towels. Use one towel for the cook-set, one for the first aid kit and the other for general use. “Pack it in and Pack it Out” so the next campers can enjoy a good clean site. I have been looking for different types of overnight/longer then a day biking treks when I happened on this one. Now I have done the winter hut-to-hut cross-country treks so I am not sure why this never crossed my mind, but I have to say now that I have seen it I am obsessed. This was presented as a non-camping option and given some of the regions there is good reason to opt for the hut overnight. Hut-to-hut touring is an activity of which Colorado is king. There you can tackle a fat-tire adventure beginning in the southwest corner of the state (in either Telluride or Durango), and wind up a few days later in Moab (okay, that’s in Utah, not Colorado). The trips are organized by San Juan Hut Systems, whose mission is “to provide low-impact, human-powered, lightweight backcountry travel opportunities for the independent, health-conscious adventurer at a practical price.” The distance from one hut to the next is generally about 35 miles; the terrain ranges from dirt roads and trails in the alpine vastness of the San Juan Mountains, to desert canyons and slickrock. Each hut is stocked with food and utensils, water, a cookstove, and sleeping gear. Another Colorado option: Take one of the trips organized out of Fruita by “The Hut Guy,” who, according to the Colorado Backcountry Biker website, “spent years scouring hundreds of miles, identifying the premier mountain biking trails in western Colorado.” As a result, it says, Colorado Backcountry Biker offers self-guided, budget-friendly bike trips on which you can spend two or three nights in fully stocked huts, and by day experience some of the best mountain biking in the West. Options include riding on the storied Tabeguache Trail, with baggage transfer from hut to hut and other amenities that are somewhat luxurious, considering the backwoods setting. If you are more of a do-it-yourselfer — or haul-it-yourselfer (your own food, sleeping bag, etc.) — there are some great trail rides to the huts maintained by the 10th Mountain Division Hut Association. Not all thirty of the system’s huts are reachable by mountain bike, but a lot of them are. These huts are relatively large, sleeping an average of sixteen people, and come equipped with wood-burning stoves and propane burners, cooking and eating utensils, and mattresses and pillows. Up in the great Pacific Northwest, Cascade Huts offers self-guided multi-day trips in Oregon’s Mt. Hood National Forest. Again stocked with supplies to enable lightweight riding, the huts line a loop around Mt. Hood that ranges from 135 to 160 miles in length, depending on the exact route chosen. And to the north of there, in Washington state, the five Rendezvous Huts in Methow Valley offer rustic but cozy accommodations for summer cyclists in a location that, come winter, is one of the premier Nordic skiing destinations in North America. Perhaps you’re not a minimalist. Just remember: everything you bring adds weight to your bike. If you have much hill climbing or a lot of mileage planned, you may want to reconsider how much you take along. This about wraps up the hut-to-hut riding opportunities my research turned up. If you know of others, feel free to add them to this list. Nature Outfitters at 118 Main Street in historic Milford ohio tel 513 248 9868 added lightload Towels to their extensive seleciton of outdoor gear. www.natureoutfitters is in cincinati ohio and offers the outdoor enthusiast a wide array of kayaks to backpacks. Lightload Towels Are the Answer to Your Camping Needs. Use lightload Towels to Wash Dishes, Hold Hot Pots, Mop Up spills, Filter Water, Store Food, Dry the Body and Hundreds of other applications .